Highway 395 is probably my favorite road in California. 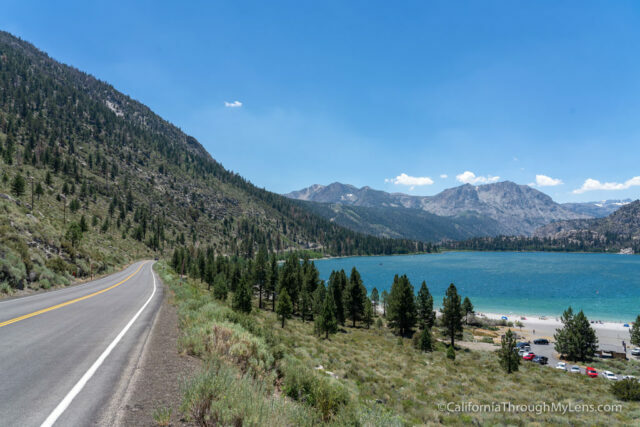 It is the road that parallels the Eastern Sierra’s and provides access to some of the best hiking, lakes and adventures you can find in California. 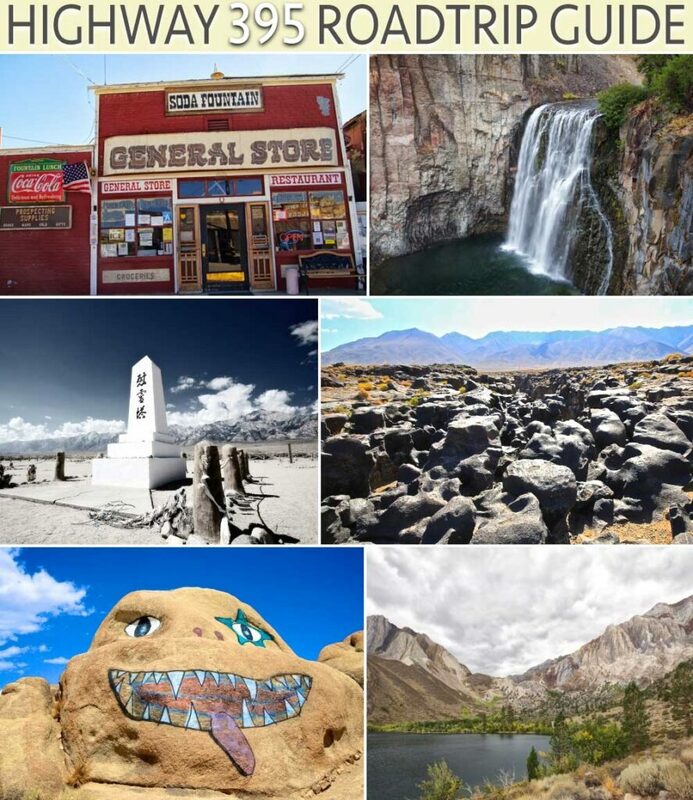 I have driven the portion from Victorville to Reno many times and wanted to compile my top recommendations for stops along a Highway 395 road trip. This is an ever-growing post though, and I hope you will offer additional suggestions to other wanders in the comments below. The ideas in this post are in order from South (Victorville) to North (Reno / Lassen), and you can see them on a map at the end of this post. I just released a 70 page ebook on this drive, check it out here. The town that time forgot, Randsburg itself is located 2 minutes off the road, but since the road does not go straight through it, it does not receive a lot of visitors. 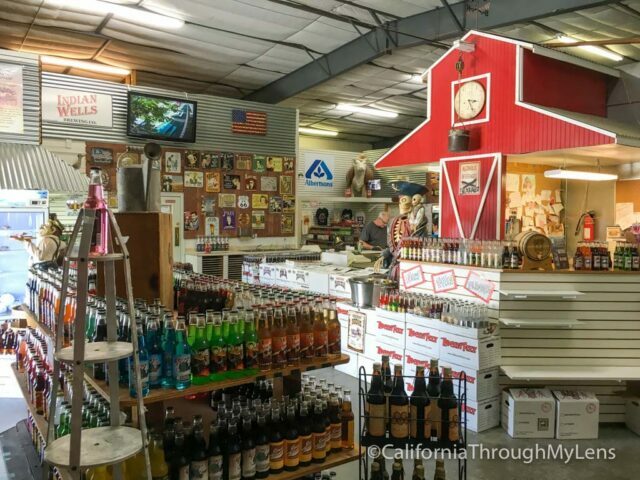 The main little strip of town is a fun place for a stop, especially if you like antiques. The soda fountain at the general store even uses phosphates like in the old days to make a mean lime soda. At a short two miles from the highway, Indian Brewing Company is a fun stop. This brewery not only makes beer but they also make all of the soda for the company Rocket Fizz. There are over 120 sodas here ranging from Root Beer and Cream Soda to Churro Soda and even Ranch Dressing Soda. It’s a fun stop for the whole family if you like weird stuff like this. This blink and you will miss it spot in Pearsonville is home to the 25-foot tall women and the sign designating it as the hubcap capital of the world. I don’t know much about the history, but it is a fun spot to take a photo. This stop is one of the places that everyone sees the sign for but no one stops at. It is a fantastic piece of history though and a great place to explore for 30 minutes. 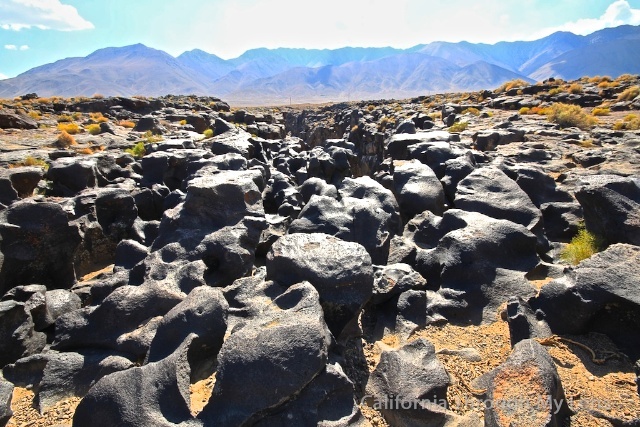 The ground is covered in volcanic rock and while there is no water flowing for the “falls” the stark contrast it presents with what is around it is enough for a great stop. This short stop doesn’t have much to see, but it is still fun to take a picture of the house that was prominently featured in an episode of the Twilight Zone. It is in the South outskirts of the town of Orlancha right near the town of Grant. If you want to see the statues, then make sure you keep your eyes peeled to the left side of the road as you drive North. There are no signs for them, but they are big enough that you will see them if you are looking. The statues all have some sort of social meaning, and they are really well made. 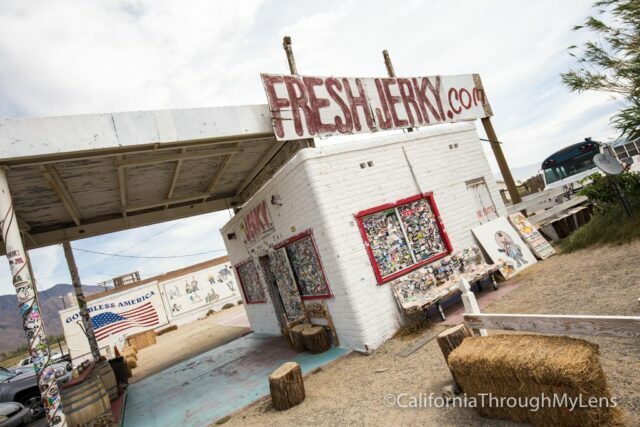 No doubt you have seen the signs for Gus’s Fresh Jerky over the last 200 miles. They do a great job of marketing to you every chance they get, and it does make you hungry for some jerky. I will say that I was impressed with the jerky when I had it. It was moist and full of flavor, which leads me to pick up a bag pretty much each time I drive past. Another fun roadside stop. Not much to see here either other than the lemon house itself. I have never seen any people here, but I always like to jump out for a photo with the house and the dinosaur. Right before you reach the town of Big Pine you will see a Historical Marker sign for the turn out for the Cottonwood Charcoal Kilns. I highly recommend taking it and driving down the one-mile dirt road (I did it in a 2WD car) to see the historic kilns. There are only two left, but they are beautiful and well maintained. Be sure to keep it that way. 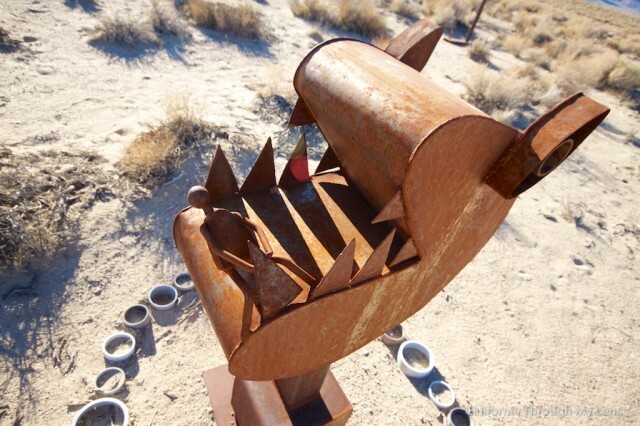 Location: Keep your eyes peeled for the National Landmark sign. 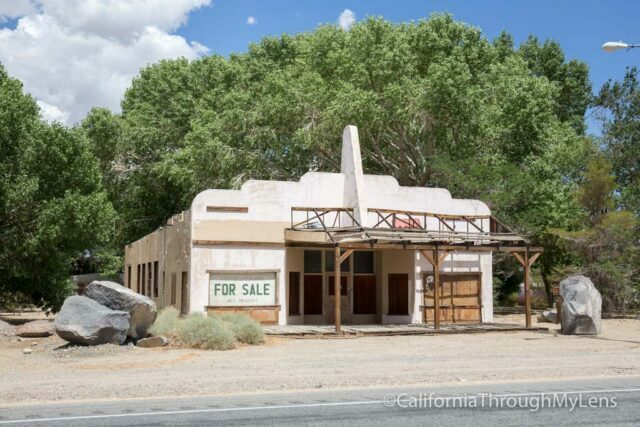 If you are a fan of cowboy movies, then you cannot drive this road without a stop here. The museum has so many great artifacts from the decades of filming that happened in the hills outside of Lone Pine. Even if you do not love cowboy movies, there are a lot of other movies that have been filmed here as well, such as Gladiator and Tremors. 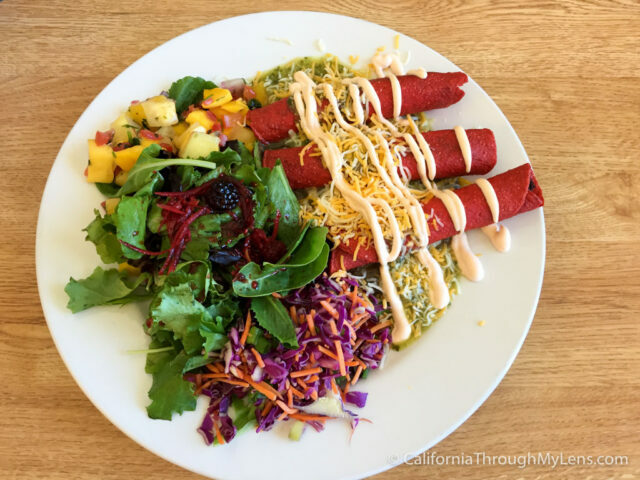 One of my favorite places to eat on Highway 395 is the Alabama Hills Cafe. 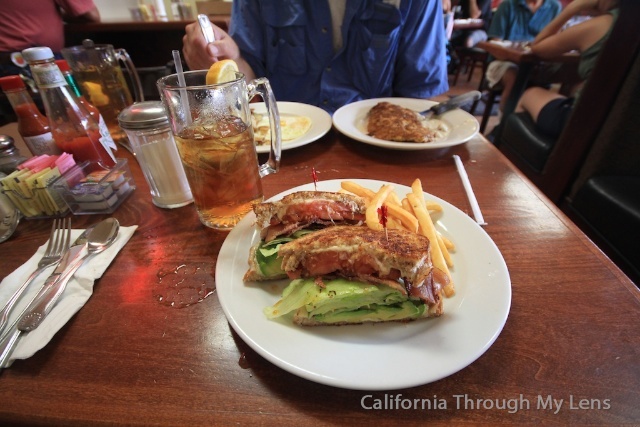 This small restaurant in the shadow of Mt Whitney provides great food and a lot of it. I especially recommend the pie. The Alabama Hills are a collection of unique rock formations at the base of the Eastern Sierras. They have been in hundreds of movies over the years and are a place full of dirt roads that you can easily get lost exploring. I love spending time here and searching for arches while climbing rock formations. 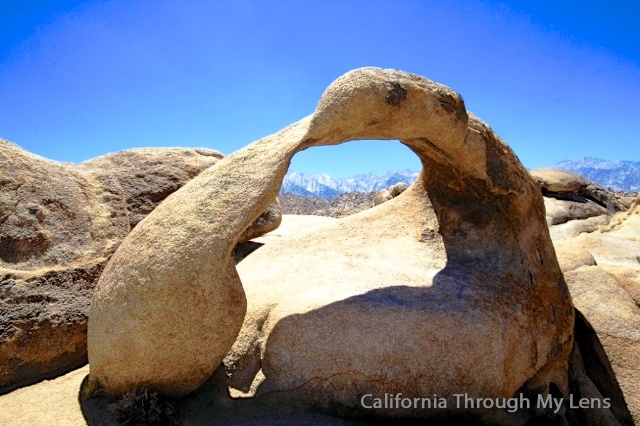 The most well-known of the arches in the Alabama Hills is the Mobius Arch. 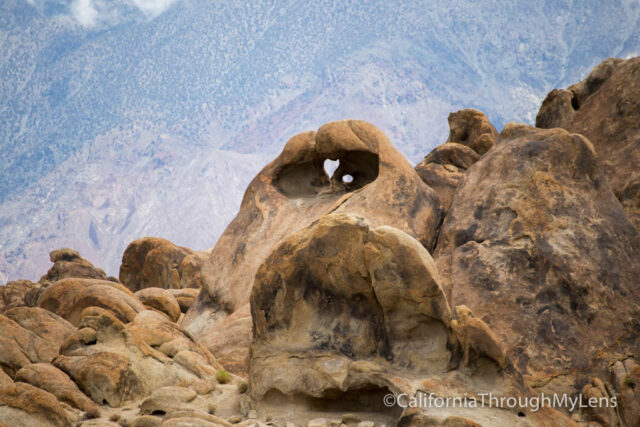 It perfectly frames Mt Whitney and is much-loved by photographers. It is accessible via a dirt road and a short hike and is one of the few places in the hills that has a sign. 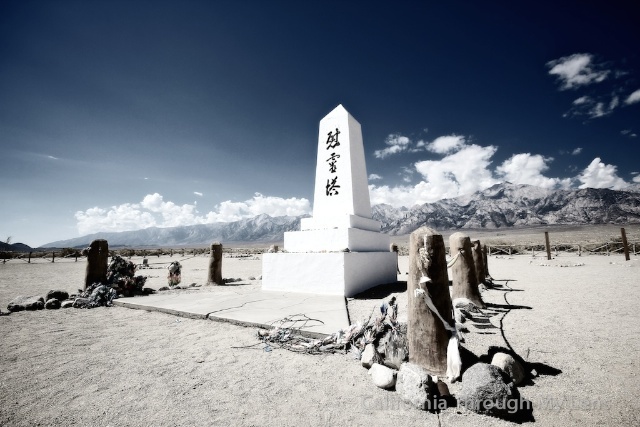 The Manzanar Internment Camp represents a dark spot in US history and the Central California area. It is a must visit on the road as it gives you a much better understanding of the area itself and the camps that existed here. 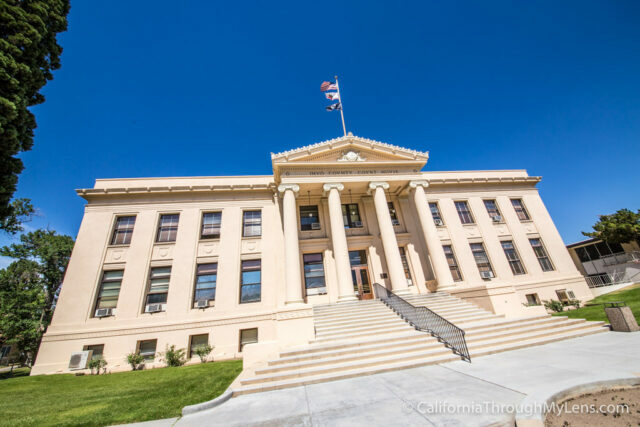 This famous courthouse is on the National Register of Historic Sites and was built in 1921. It is still in use and is the courthouse for Inyo County. It is a beautiful building and worth the stop to see for a few minutes. 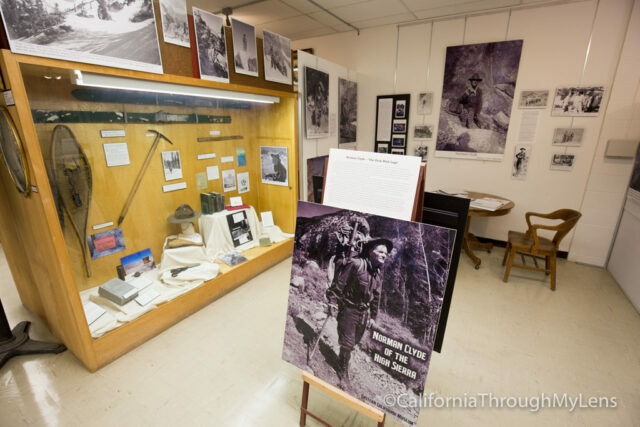 If you are a fan of California’s history like I am, then be sure to check out the Eastern Sierra Museum. This museum is one of the better ones along this drive as it has a ton of information on the people who made the area what it is today, from Native Americans to authors. There is also a large outdoor area which has different pieces of historic equipment as well. North of the town of Independence sits a beautiful and historic fish hatchery. The building itself is a great spot for photography as it has a gorgeous pond in front of it with a lot of fish. When it is open, you can go into the hatchery and see the process the fish go through and when it isn’t open you can still walk around the grounds and have a picnic at the picnic tables. Voted the best restaurant in the country by Yelp in 2014, Copper Top BBQ is a fantastic place for a meal. 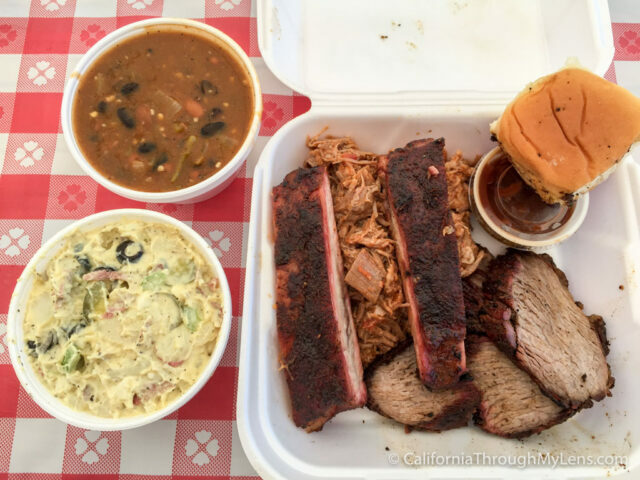 From the pulled pork to the tri-tip, everything is amazing here. It is only open from 12PM – 5PM though, or until they run out of meat, and it is closed on Monday and Tuesday. This is one of those stops that you easily need a half-day to a full day to see. Since it is about 45 minutes off the highway, I would not even consider doing it if you are in a rush though. The area is amazing, with tons of unique trees, some that are over 4,000 years old. It is one of my favorite stops along the drive for photography. 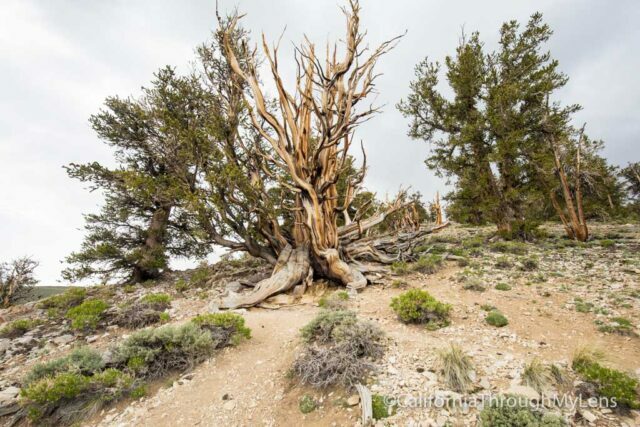 If you have some time to do a long day hike or a backpacking trip, then grab a permit to hike the North Fork of Big Pine. 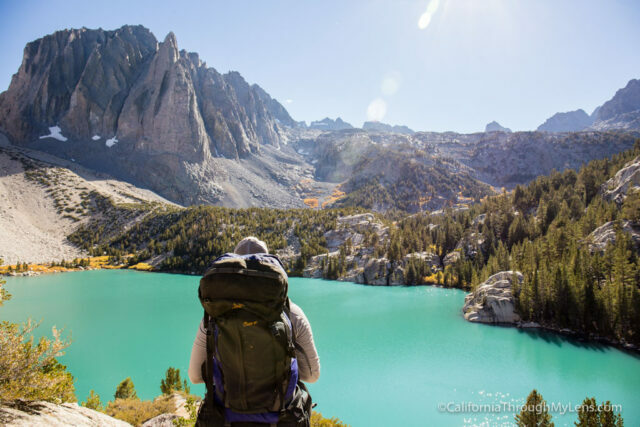 This area is one of the most beautiful in all of California with blue glacial lakes and massive vistas. There is even a glacier you can see but you would need to backpack for that. 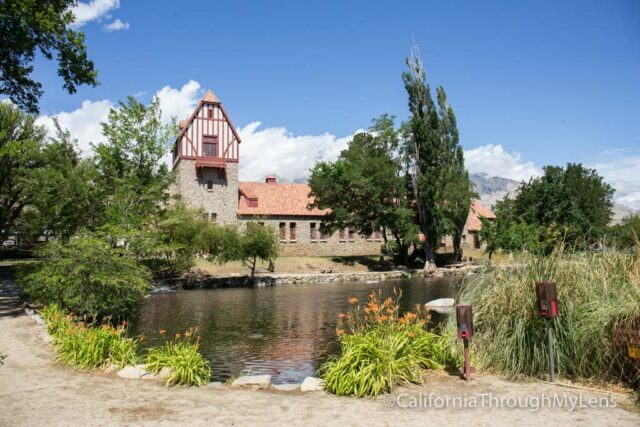 There is no way to see all that Bishop Creek has to offer in a few hours, or even a few days, but it is a great place to drive through on a road trip. You can see high altitude lakes, waterfalls, and amazing fall colors if you go at the right time. 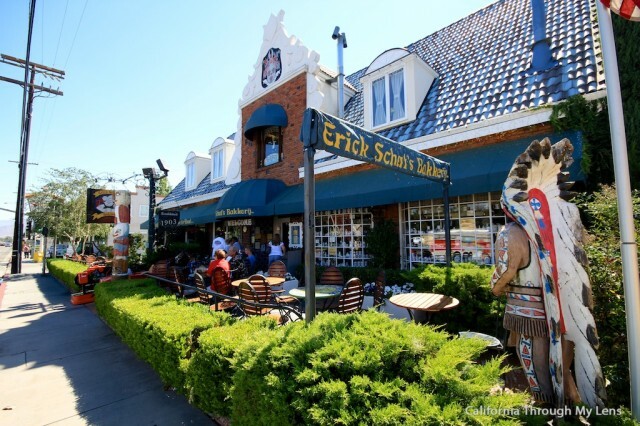 One of the most well-known spots on Highway 395 is Erick Schat’s Bakery in Bishop. This famous restaurant, home to the sheepherders bread, is a great stop for lunch on the drive. Even if you do not want a full meal you can still stop in for some sweets as they have a pretty amazing selection. This is one of the better museums I have been to in the state. 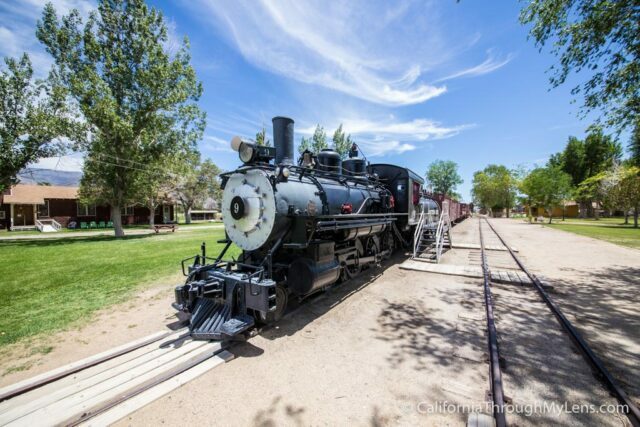 It has a whole towns worth of recreated houses and a full nine car train in the middle. The museum is dedicated to the town and what it was like when the train actually ran through here. It also has a fantastic and interactive gold mining exhibit that they run on Wednesday and Thursday. 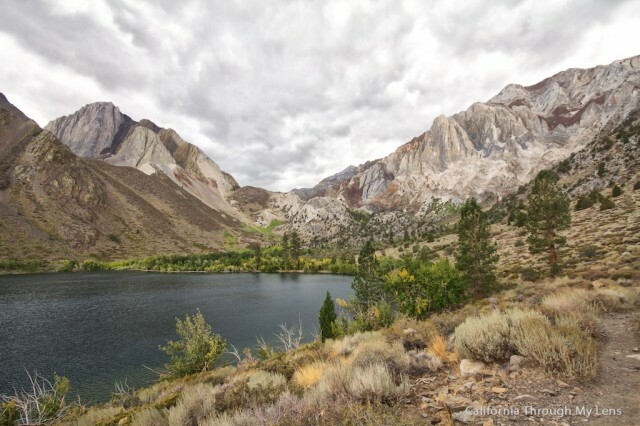 Another place where you need more time than just a few hours, Convict Lake is a beautiful, accessible gateway into the Sierras. It has a massive lake and tons of hiking trails that lead into the backcountry. There is a lodge and camping available as well. One of the many hot springs located off Benton Crossing Road, South of the airport, Wild Willy’s is relatively easy to get to. 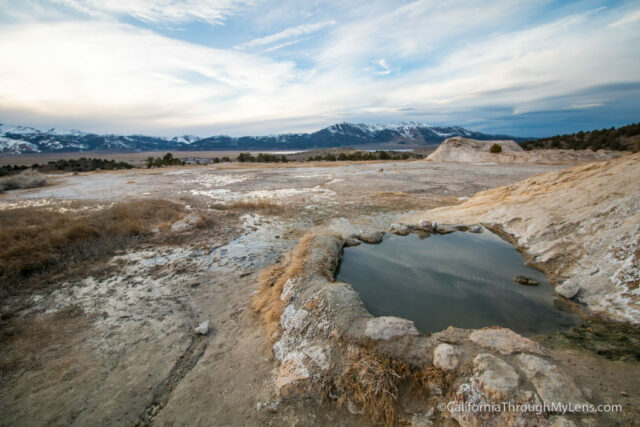 After driving two miles down a dirt road, there is a small parking lot that leads to an elevated wooden walkway and eventually the hot springs. It truly is hot, and it is a fun adventure. While this is an awesome spot for sure, I would not even try it without 4WD. The road to it is dirt and has lots of pot holes and steep sections, plus it is really remote. If you have 4WD and are comfortable driving on sand though then it can be a cool spot. One exit up from the hot springs is the Hot Creek Geological Area. This spot is much like what you would see in Yellowstone, albeit on a much smaller scale. 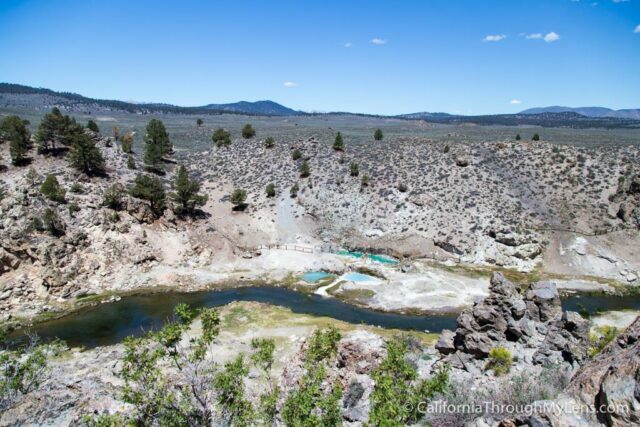 There are a few bubbling sulfur pools that have a bright blue hue to them, and it is a fun stop that is easy to see and right off the highway. 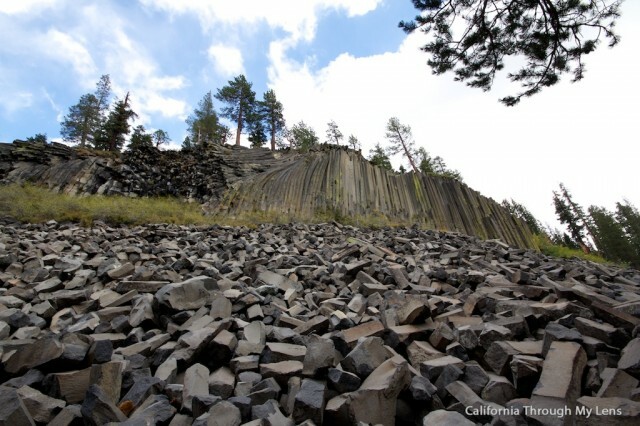 No doubt you have seen the Devils Postpile in pictures, this crazy geological wonder has been attracting visitors for decades. It is off 395 a decent amount but is a great stop and houses a lot of fun hikes. 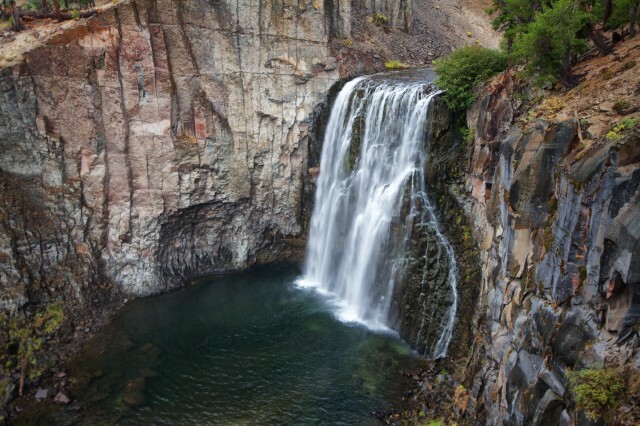 Only a stone’s throw from Devils Postpile, Rainbow Falls is a majestic waterfall and an excellent way to get your legs moving on a road trip. 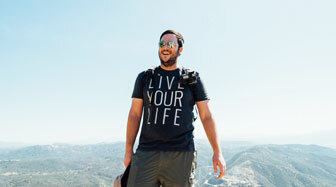 The hike itself is a few miles each way to the lookout point that will give you the above view of the waterfall. 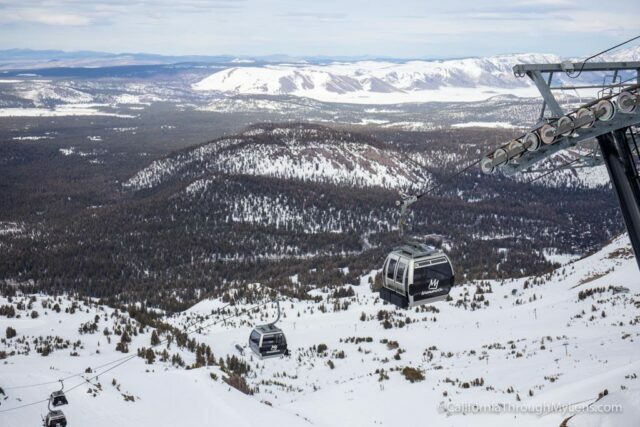 The Mammoth Mountain Gondola is a great way to get to a high vantage point and look down on the area and the drive. You can do it in both the winter and the summer and each season has a unique charm. If you have the time on your drive, the 12 mile June Lake Loop is a beautiful side trip with amazing lakes and mountains around each turn. I would not recommend it if you don’t have two hours to spare though as you will want to spend some time pulling off and taking in the views. 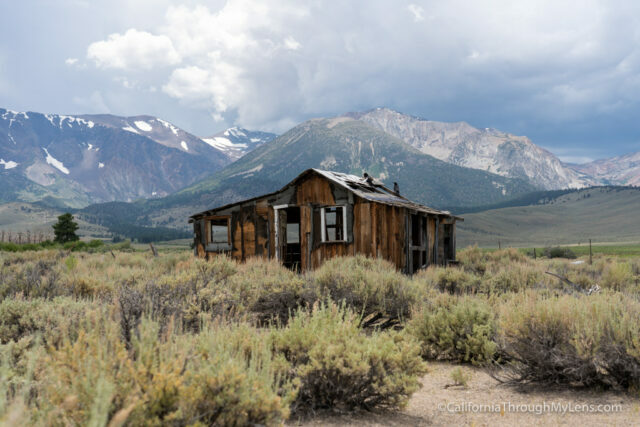 This house is a popular spot on the Highway 395 drive for photographers. It is only accessible when you are heading southbound though since it is on that side of the road. I don’t have the exact address but it is before you reach the town of Lee Vining. 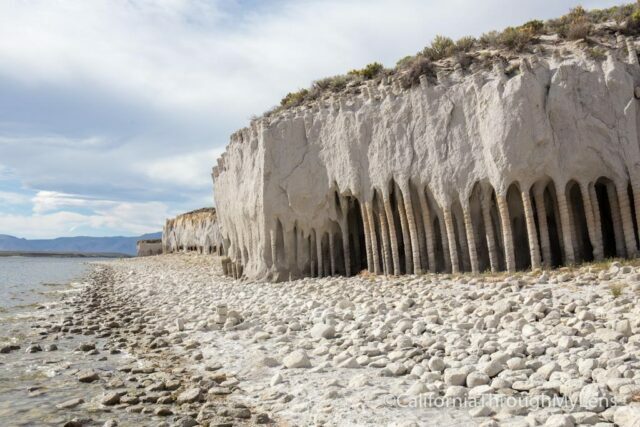 The calcite formations on the South side of Mono Lake have been attracting photographers for a long time. 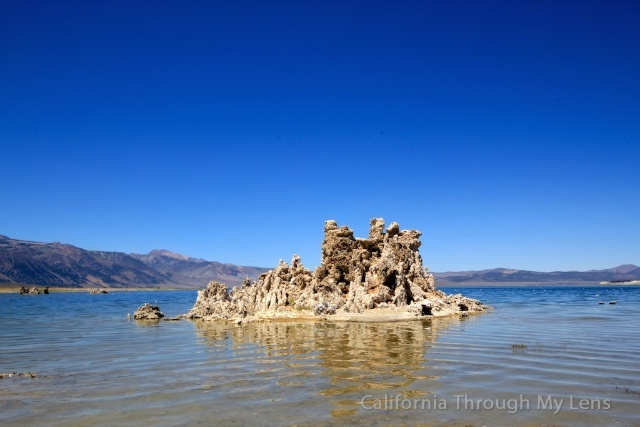 You will see why when you get there as the formations are unlike anything you have ever seen in a lake before. 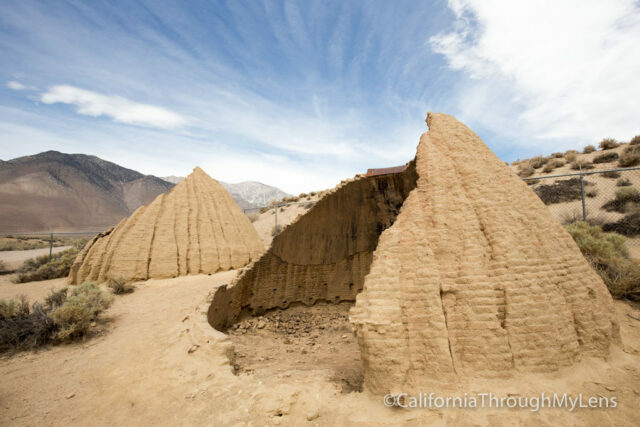 They are accessed via a short walk from the parking lot and are a great place for sunset or sunrise. 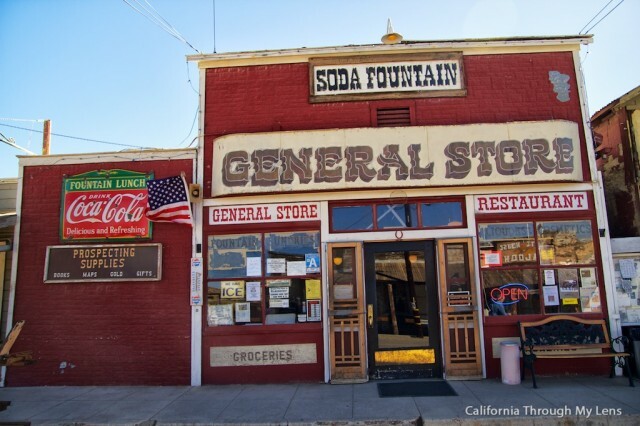 Located inside a Mobil Gas Station with a view of Mono Lake, this food establishment is extremely popular. It’s not hard to see why when you try it though as the food is better than anything you can get within 30 miles of this spot. It is a little on the pricey end but the fish tacos are fantastic, and you can’t beat the view. 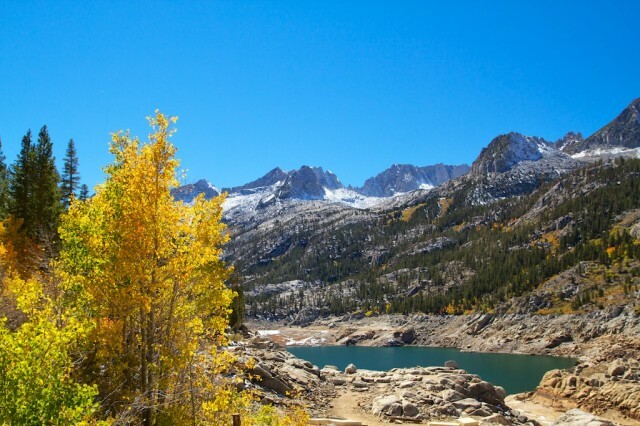 If you have time for another drive while on your road trip, make sure to turn on Tioga Pass. 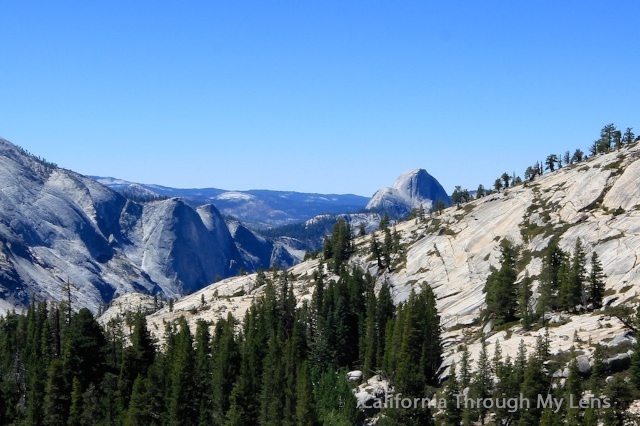 This back country road goes over a 10,000-foot pass and allows you to see Half Dome from the backside without hiking. It also goes past Tuolumne Meadows, which is a favorite California spot for backpacking. 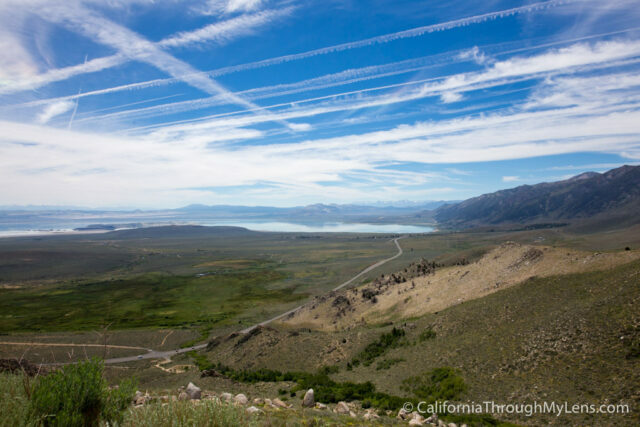 After heading up the mountain on the North side of Mono Lake, there is a pull off for a Vista Point. I highly suggest you take it as it provides a beautiful view of the entire valley below. It is one of my favorite views on the drive. 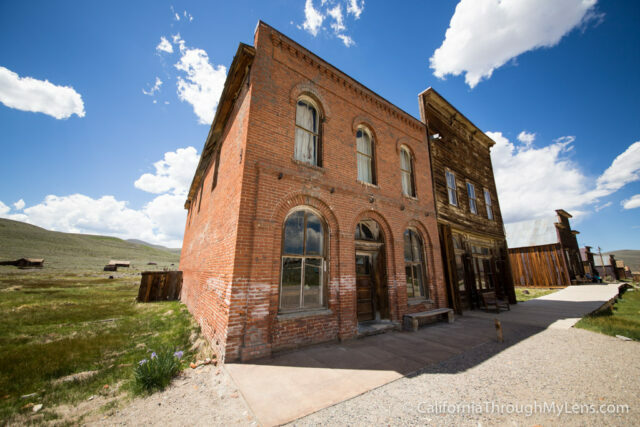 The ghost town of Bodie is a favorite attraction for many California visitors, but I have not made it there myself yet. 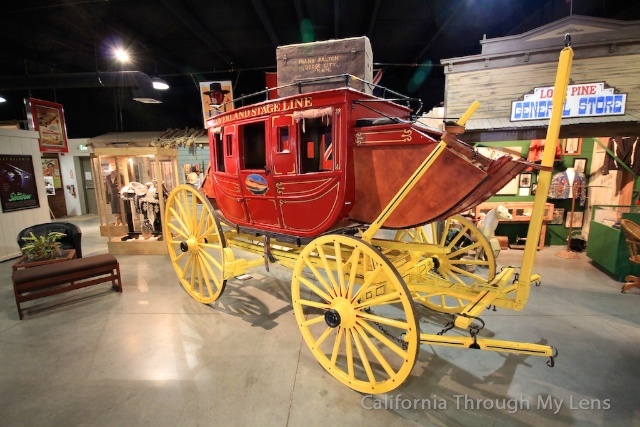 It is a well-maintained piece of history that showcases what life was like in early days of California. 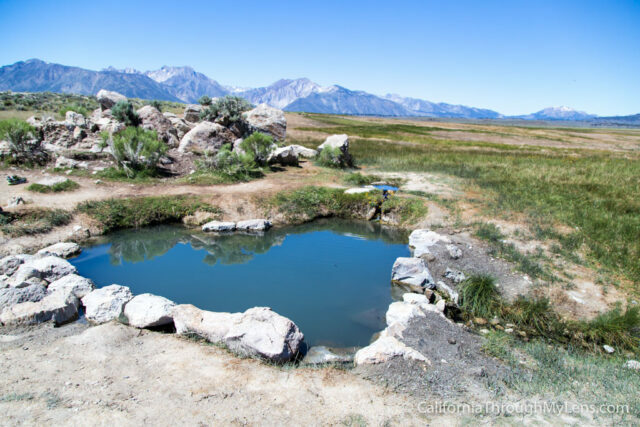 In Bridgeport, this set of a half-dozen hot springs is a very popular road trip stop as it is one of the easiest hot springs to access. You will probably not be alone here but it is still a very pretty spot to relax at. 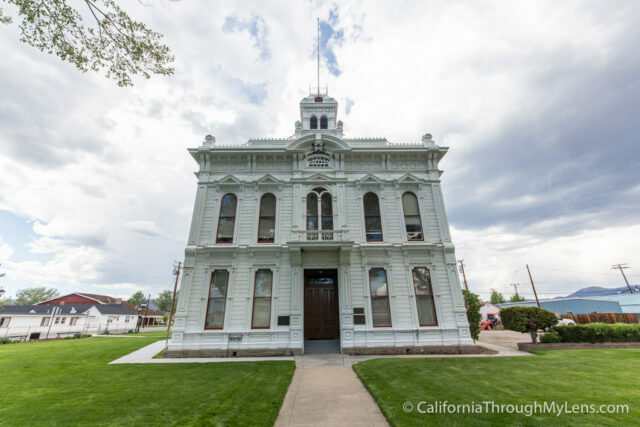 Much like the Independence Courthouse, the Bridgeport one is the main courthouse for Mono County. The beautiful Victorian architecture harkens to the creation of the town, and it was built-in 1881. It is a pretty historic building, and it is worth the stop. 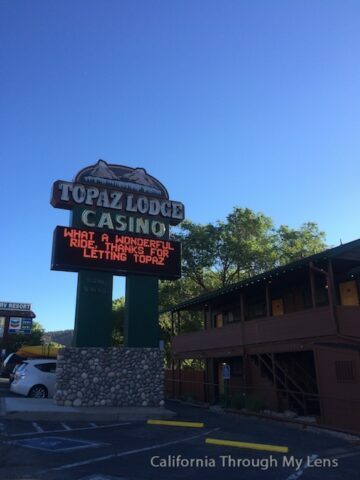 When you make the first entrance to Nevada from CA, there is a casino right there waiting for you. If you like gambling, I imagine this being a great stop, but I have not been inside myself. 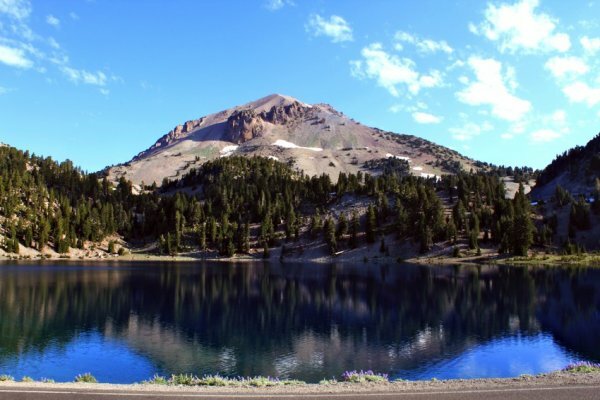 Lastly, when the 395 comes back into California from Nevada, you are pretty close to Lassen National Park, which I highly recommend. 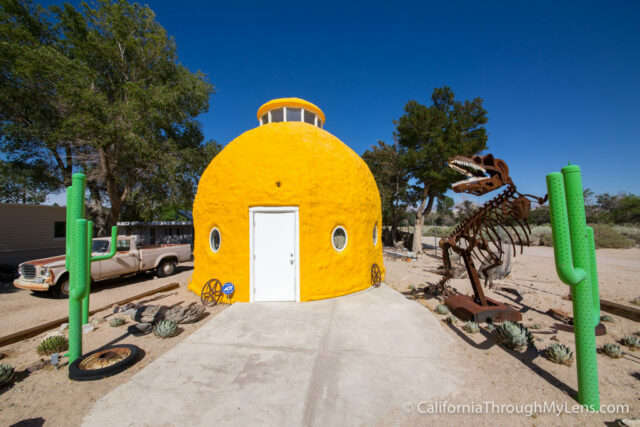 It will take you off Highway 395 a little ways, but it is a great place to camp and spend a day as there is so much to do there. 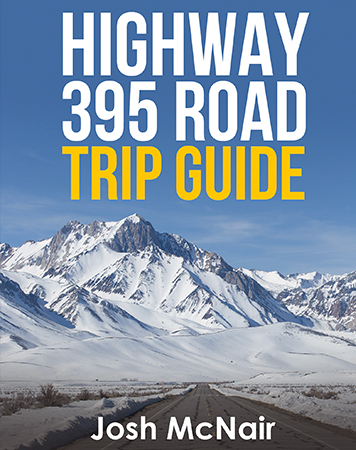 Here are a few videos I made from my last drive on Highway 395. 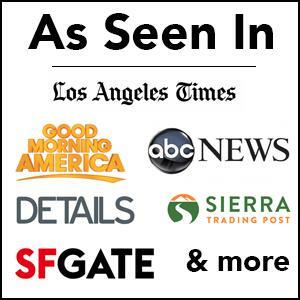 What would you add to this guide? Let me know in the comments.